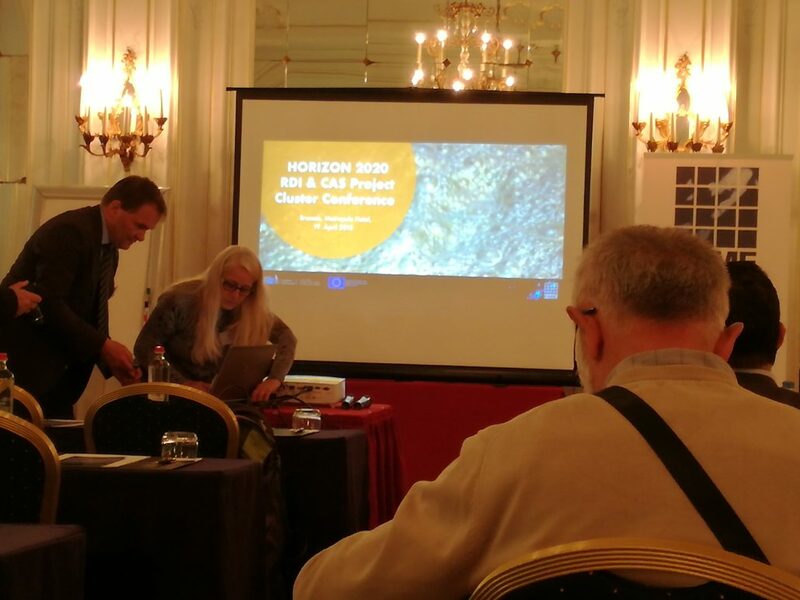 On the 19th of April, the UNEXMIN project was represented at the first Horizon 2020 RDI & CAS Project Cluster Conference, held in Brussels. 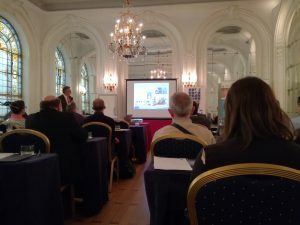 This conference, organized by Geokompetenzzentrum Freiberg, partners of the H2020 FAME project, intended to gather the Horizon 2020 projects that are related to “the valorisation of domestic European resources” and to discuss the exploitation measures of the projects’ results. 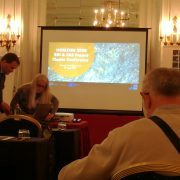 The final and transversal goal to all the projects is to achieve a bigger impact on the interested stakeholder groups (mining companies, policy makers, scientific community, etc.). 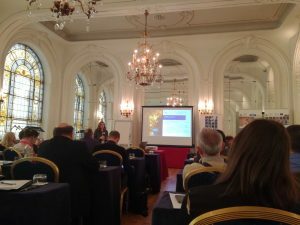 The one-day event had talks from technical and non-technical case studie projects (FAME, INTMET, METGROW+, SLIM, among others), that shared their experience in best practices in clustering to engage exploitation to reach a bigger impact. This event was based on the principle of networking, with the projects sharing experiences and ideas among them, fostering present and future collaboration to solve Europe’s dependency on the import of raw materials. The first Horizon 2020 RDI & CAS Project Cluster Conference was the perfect opportunity to discuss the raw materials topic. Responsibles from EU institutions such as DG Grow and EASME were also present and gave their own view on the efforts made by the European Commission and the Horizon 2020 funded projects. UNEXMIN, now over the first half of its lifetime, is trying to maximise the impact of the project’s results by reaching all its stakeholders with the most recent and adequate flow of information and results from the project development. Girls’ Day at University of Miskolc The European Inventory of Flooded Mines is now online!